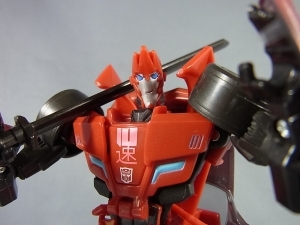 In-hand images of Takara’s Adventure line continue as we get some good looks at TAV-22, Takara’s version of Robots In Disguise 2015 Sideswipe. 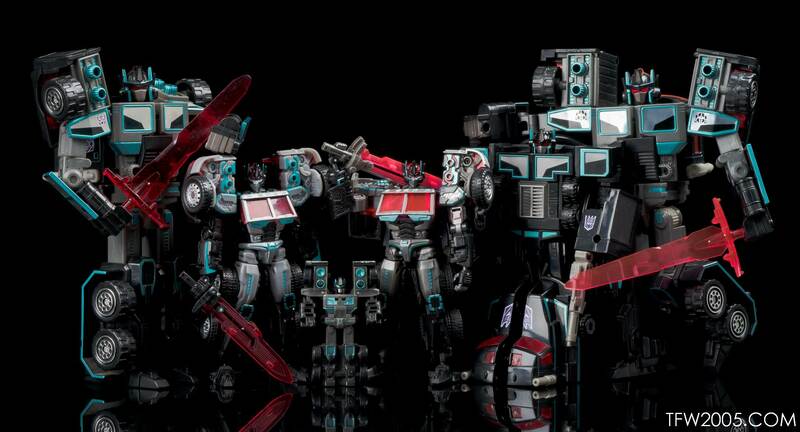 Thanks to Higekuma Toy blog, we get close-ups of Sideswipe’s new paint apps in both vehicle mode and robot mode. There doesn’t seem to be a huge difference between Takara’s version and Hasbro’s, but we can see he has blue ring details around each tire rim to resemble the Energon conduits from the show, an added symbol on his hood just above his scannable faction sticker, a painted mouth and eyebrows, and a slightly more reddish-orange paint job. Takara Adventure Sideswipe is » Continue Reading. The post Takara Robots In Disguise 2015 Sideswipe In-hand Images appeared first on Transformer World 2005 - TFW2005.COM. The post NJCC Mega Door Prize Announcement Combiner Wars Devastator x2 appeared first on Transformer World 2005 - TFW2005.COM. It’s a lazy Saturday afternoon here so why not check out a random photo shoot for a recent figure – the Tokyo Toy Show 2015 Black Convoy. This came in during the frenzy of the summer con season and I was finally able to get around to shooting it recently. Some may know I am a big Robots in Disguise fan – the OG RID, not the current series. 15 years later and I still try to get a hold of all the homages, reuses, and updated characters so I had to have him! This is a repaint of the » Continue Reading. The post Tokyo Toy Show 2015 Black Convoy Gallery appeared first on Transformer World 2005 - TFW2005.COM. We have a very happy news to break to the Russian Transformers Fans. 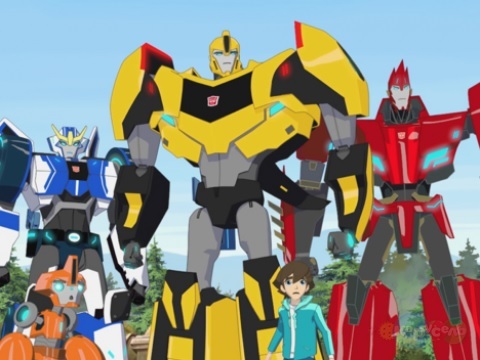 Transformers: Robots In Disguise animated series is finally releasing in Russia. It will be broadcasted by Karusel from August 3rd onwards. This news was brought to us by Russian Transformers fan, Russian fan of TFW2005. The show will be called “Трансформеры. Роботы под прикрытием“. You can find out all the details from the Official Website of Karusel. The post Transformers: Robots In Disguise Starts Airing In Russia appeared first on Transformer World 2005 - TFW2005.COM. Care of ShukuenShinobi on Twitter, we have word that the fourth assortment of Combiner Wars Deluxe class toys have reached retail. Combiner Wars Deluxe Wave 4 is the “Masquerade” wave, where classic Generation 1 characters Ironhide, Prowl, Mirage, and Sunstreaker get reimagined as combiners. The quartet will go great as limbs for either the existing Voyager class Optimus Prime, or the upcoming “Battle Core” Optimus Prime redeco. 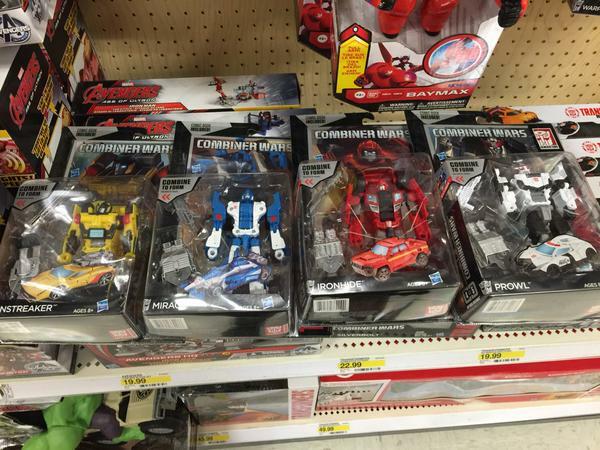 They were spotted in a Target in the Sterling Heights, MI area. The post Combiner Wars Deluxe Wave 4 Released at US Retail appeared first on Transformer World 2005 - TFW2005.COM. We have some cool comic art to share with you today, friends. 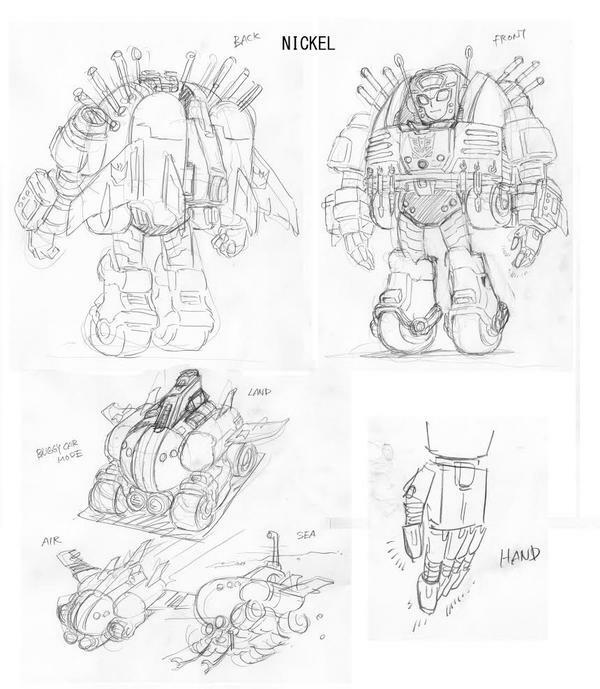 James Roberts has shared the design sketches that Hayato Sakamoto did for More than Meets the Eye’s Nickel. Nickel is the medic / maintenance Mini-Con who looks after the members of the Decepticon Justice Division, who appears in More than Meets the Eye #39. 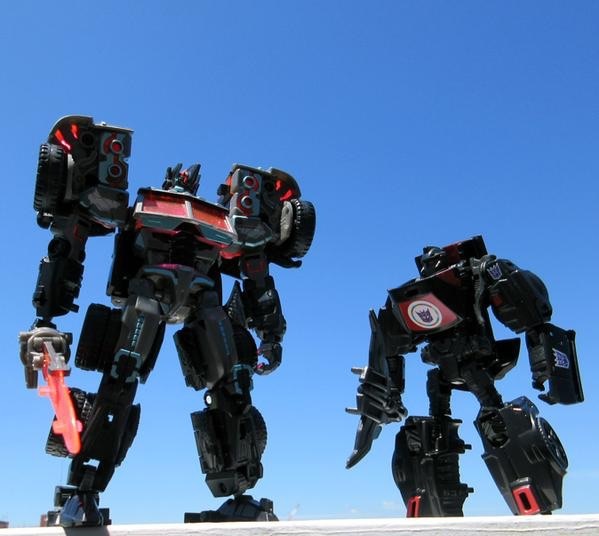 These sketches show Nickel’s alternate mode, and reveal that she is actually a quadra-changer, in the same sense that Tracks is a triple-changer – her alternate mode can adapt for operations on land, sea, and the air. It’s a really cool insight into » Continue Reading. The post More than Meets the Eye Nickel Design Sketches appeared first on Transformer World 2005 - TFW2005.COM. From Alucardlee on weibo, we have pictures of what could be Toyworld’s first attempt at a Generation 1 combiner team. 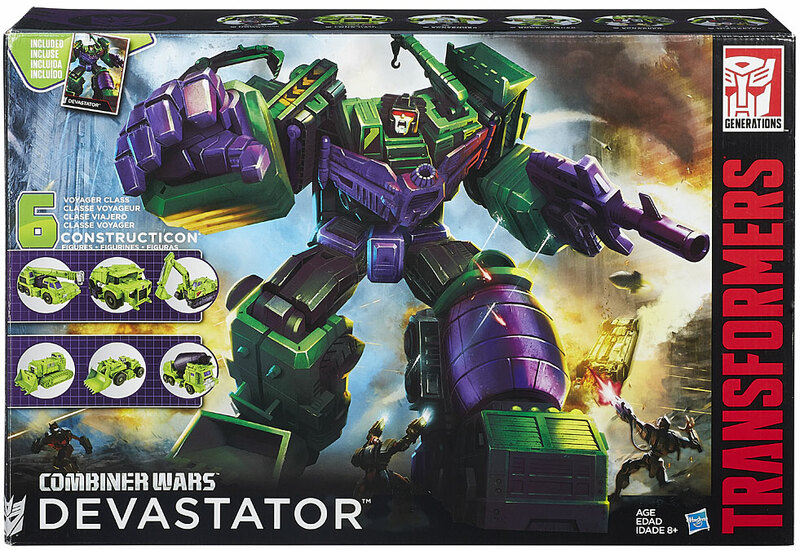 These images of what looks like an instruction booklet show off designs for a team of third party “Constructicons” that combine into a whopping 50cm/19.6 inch tall “Devastator” who, at the time, has no name. However, he sounds like he’ll be beating Warbotron and taking the title of “Biggest Third Party Combiner.” The individual robots seem to be extremely reminiscent of their G1 counterparts in look and transformation. Judging by the combined form’s size, they’ll also be around voyager or ultra class; perfect if you don’t » Continue Reading. The post Toyworld – Unofficial Constructicons appeared first on Transformer World 2005 - TFW2005.COM. 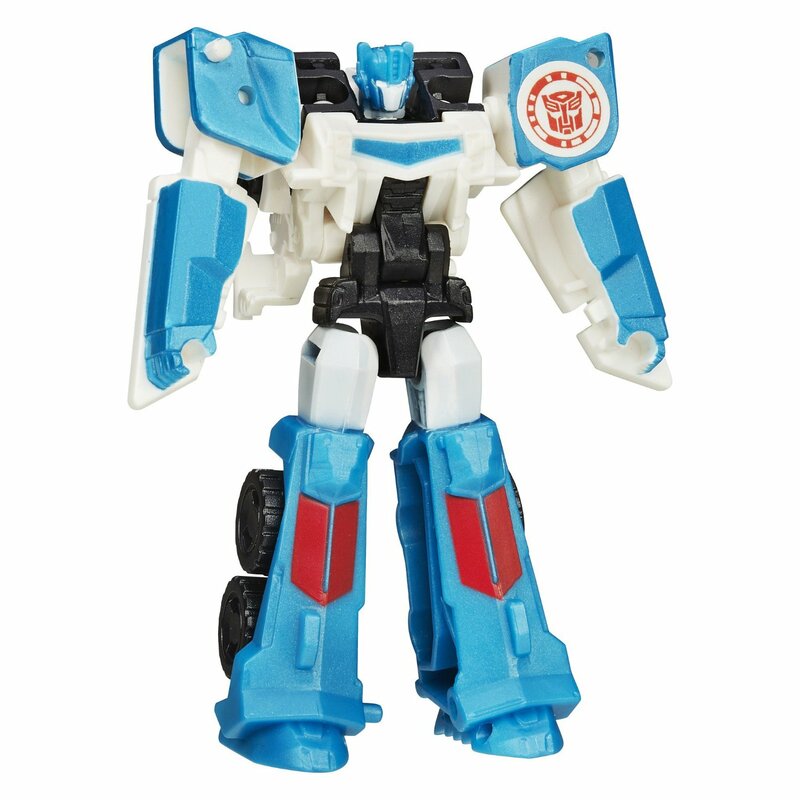 Via Amazon.com, we have a look at the official stock photos of Robots in Disguise Legion Wave 5 – which features Patrol Mode Strongarm and Ultra Magnus. Patrol Strongarm is a redeco of the previous Legion class Strongarm toy, while Ultra Magnus is a resurrection of the trend of painting Optimus Prime toys white – by which, we mean he is a redeco of Legion class Optimus Prime. Both of these toys have also been sighted at retail in Singapore – TFW2005 member kwweil reports finding them both at a store called Takashimaya – we’ve got photo » Continue Reading. The post Robots in Disguise Legion Wave 5 Official Images, Out in Singapore appeared first on Transformer World 2005 - TFW2005.COM. TFcon is happy to welcome Transformers comic book artist Corin Howell to TFcon Charlotte. 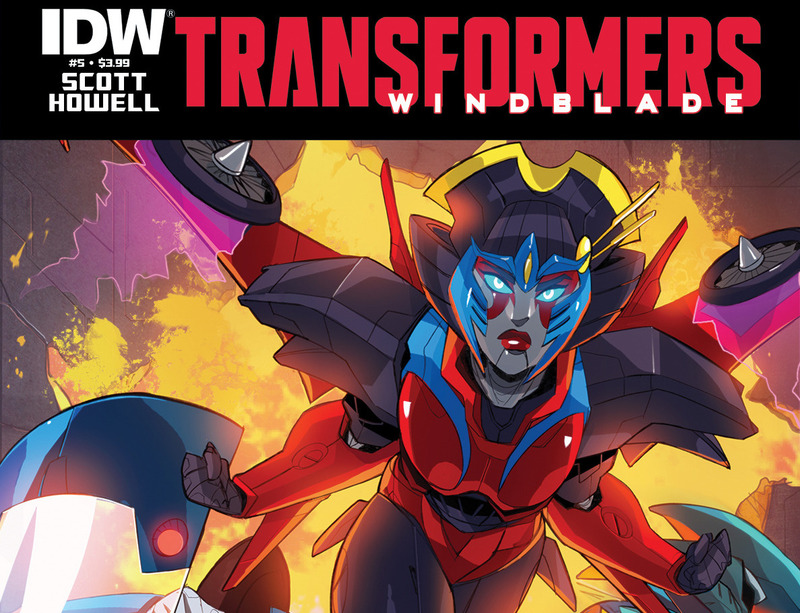 Fans will recognize her work from IDW’s latest Windblade miniseries. She will be in attendance all weekend and offering prints and commissions to the attendees. TFcon Charlotte – America’s largest fan-run Transformers convention will be the weekend of October 16th to 18th, 2015. TFcon Charlotte will take place at the Embassy Suites Charlotte Concord. Online registration for TFcon Charlotte 2015 attendee tickets is live, for more info you can visit the TFcon Admission/Registration/Ticket Information page. You can now book your discounted hotel room <a href="http://news.tfw2005.com/2015/08/07/transformers-artist-corin-howell-to-attend-tfcon-charlotte-2015-299341">» Continue Reading. The post Transformers Artist Corin Howell to attend TFcon Charlotte 2015 appeared first on Transformer World 2005 - TFW2005.COM. 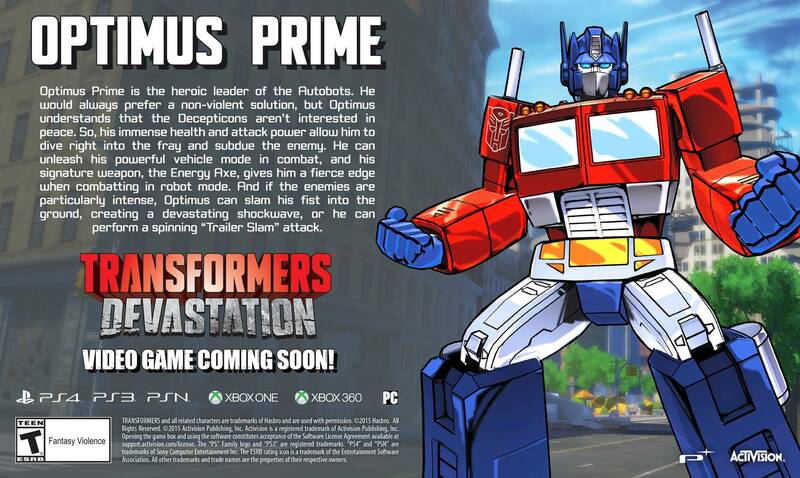 The official Transformers Video Game Facebook Page has posted the character profile for the heroic Autobot leader; Optimus Prime, as featured in Activisions’ upcoming Transformers Devastation game. The bio gives a list of moves available to the Autobot leader. Update: The FB page has been updated with a brand new trailer showcasing Optimus Prime’s character Profile. You can watch it here. You can check out the image after the break, by clicking read more. The post Update – Transformers: Devastation Video Game Optimus Prime Character Profile And Trailer appeared first on Transformer World 2005 - TFW2005.COM. The post Robots in Disguise Mini-Cons and Deployers Commercial appeared first on Transformer World 2005 - TFW2005.COM. 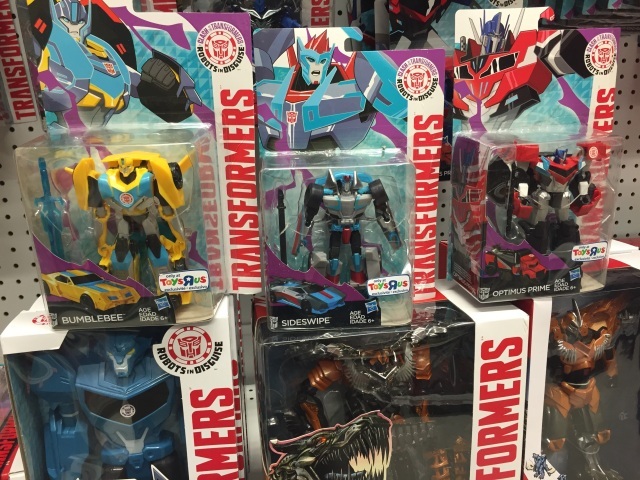 Hat tip to TFW2005 boards member AutobotMirage for letting us know of a recent retail find of the Robots In Disguise Clash Of Transformers figures! These figures are exclusive to Toys ‘R Us and were found in Buffalo, New York today. Included in this assortment are the following figures: – Warrior Class Bumblebee, Optimus Prime, and Sideswipe (all with redecos) – Megastep Megatronus – 3-Step Bumblebee and Optimus Prime (both with redecos) – Legion Class two-packs with Optimus Prime / Megatronus and Bumblebee / Underbite Happy hunting TFW! Be sure to use our sightings forum to help out fellow collectors. The post RID Clash Of Transformers Found At US Retail appeared first on Transformer World 2005 - TFW2005.COM. The official Transformers Video Game Facebook Book Page has posted the Character Profile for the heroic Autobot leader; Optimus Prime. List of moves associated with the character is also included. Check out the image, after the jump. The post Transformers: Devastation Video Game Optimus Prime Character Profile appeared first on Transformer World 2005 - TFW2005.COM. We’ve got another Transformers toy sighting for you! 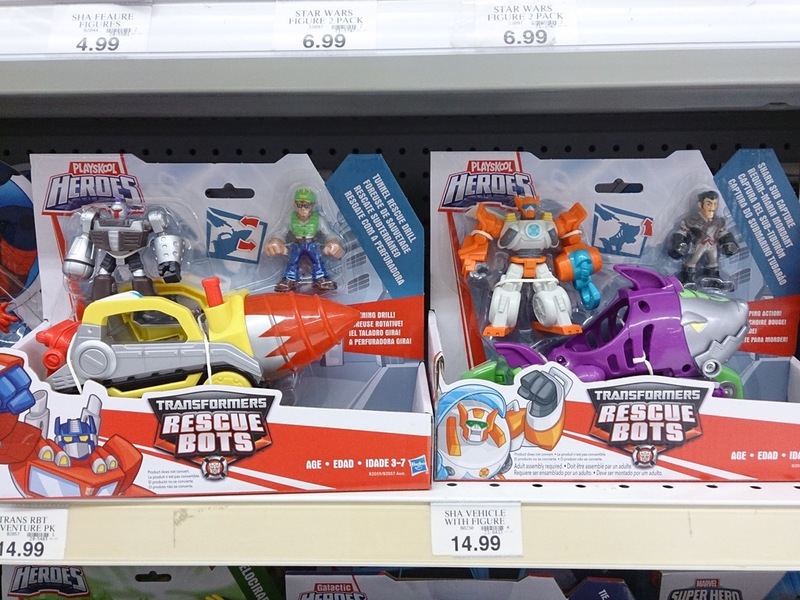 The Rescue Bots Scene Sets – the Tunnel Rescue Drill with Graham Burns and a Morbot, and the Shark Sub Capture with Blades and Dr. Morocco – have been found at retail. TFW2005 member JukeOutlander brings us the word that these were gracing shelves on a Toys R Us in San Jose, California! Happy hunting, and roll to the rescue! The post Rescue Bots Scene Sets Found at US Retail appeared first on Transformer World 2005 - TFW2005.COM. The news as slowly been trickling in today, so we thought it would be worthwhile to share another new image of the Transformers Adventure Runabout figure from Hisashi Yuki. This small update is another outdoors shot, this time Runabout is pictured with the Tokyo Toy Show 2015 Exclusive Nemesis Prime / Black Convoy / Scourge figure, which one has to note the pair look stunning pictured together! Runabout is scheduled to release later this month on the 29th at a price point of around ¥1300. Enjoy the small update! The post Transformers Adventure Runabout – New Image appeared first on Transformer World 2005 - TFW2005.COM. 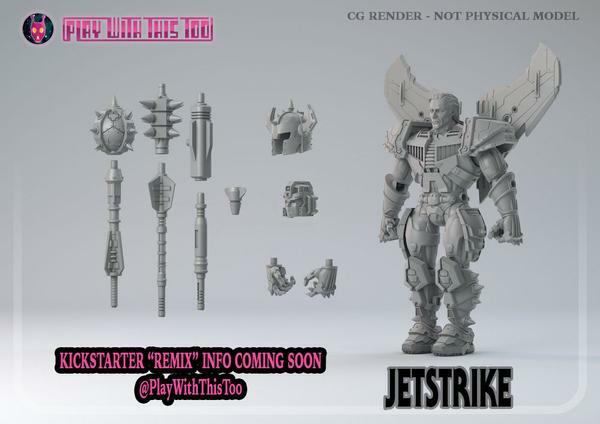 Play With This Too has tweeted an image featuring a computer render of their upcoming figure Jetstrike, who is inspired by the 1989 Starscream Pretender Shell. He comes with a couple of maces, including his Striker Scepter, a more robotic head, a battle helmet, and a second pair of hands which have open, splayed fingers. He also appears to come equipped with a single (possibly a second?) null ray blaster that can peg onto either forearm; furthering the accuracy of this homage. No word on price or release date as of yet, but we should be getting a look at the unpainted prototype very soon! » Continue Reading. The post Play With This Too Jetstrike Computer Render – Prototype Coming soon appeared first on Transformer World 2005 - TFW2005.COM. It seems as well as offering a complete Robots in Disguise season box set for Australia, Beyond Home Entertainment will be releasing individual volume sets for those that like to get a few episodes of a show at a time. This first DVD, listed on JB Hi-Fi, is titled “Collect ‘Em All”, and based on the description and run time, looks to include the shows’ first seven episodes. Like the main season set, it is scheduled for September 1st, and it is priced at $12.98 AU. 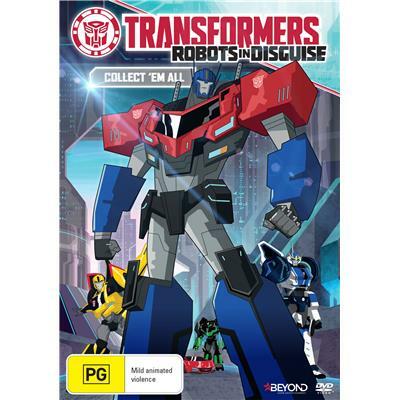 The post Robots in Disguise “Collect ‘Em All” DVD Volume 1 for Australia appeared first on Transformer World 2005 - TFW2005.COM. 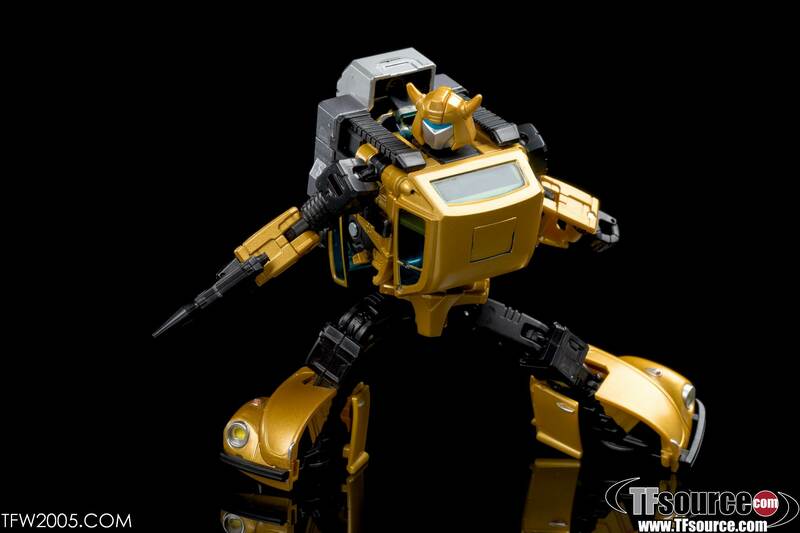 MP21G G2 Bumblebee is out in the wild and hitting collector’s shelves. He’s a straight repaint of MP-21 Bumblebee, this time with a metallic gold paint scheme to homage his G2 deco. He comes with the additional toy-themed battle mask that was exclusive before and a trusty jet pack accessory. The Autobot logo is not molded into the chest plate anymore, and stickers are available to mark him up with standard or G2 Autobot symbols. We’ve done up over 45 high res shots of him in action after the break, check them out courtesy of site sponsor <a » Continue Reading. The post Masterpiece MP-21G Bumble (G2 Bumblebee) Photo Shoot appeared first on Transformer World 2005 - TFW2005.COM. TFW2005 member D-Drive has just sent us over the latest comics shipping list for IDW’s Transformers. Next Wednesday will see the release of two collected editions of comics, see the details below. Also, don’t forget that Transformers #44 is out today! TRANSFORMERS COMBINER WARS TP (W) Mairghread Scott, John Barber (A) Sarah Stone, Livio Ramondelli (CA) Sarah Stone The AUTOBOTS and DECEPTICONS’ uneasy peace is threatened by the flames of war! STARSCREAM-ruler of CYBERTRON-makes contact with WINDBLADE’S home world-and the only defense against a new CYBERTRONIAN EMPIRE are COMBINERS-multiple CYBERTRONIANS forming together into huge, dangerous forms! Collects issues #39-41 of » Continue Reading. 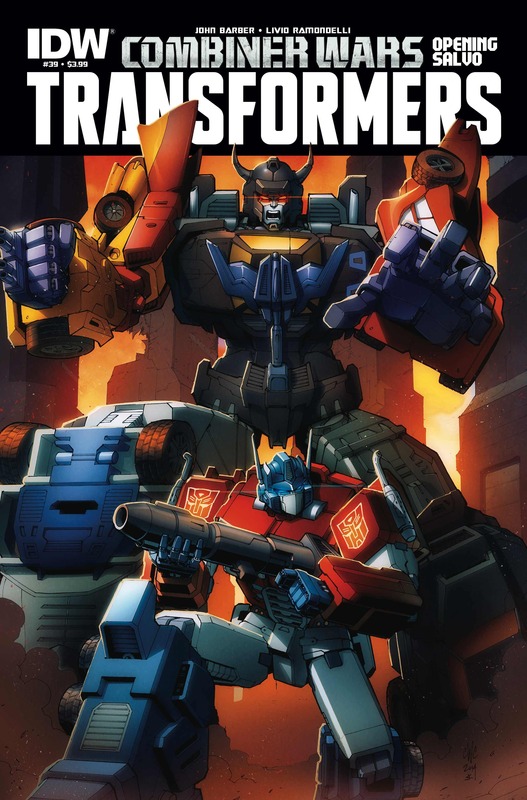 The post Diamond Comics Shipping List for August 12th appeared first on Transformer World 2005 - TFW2005.COM. Mecha Form has announced on their Facebook page that preorders for their Sky Guardian figure will be going up on various online retailers. 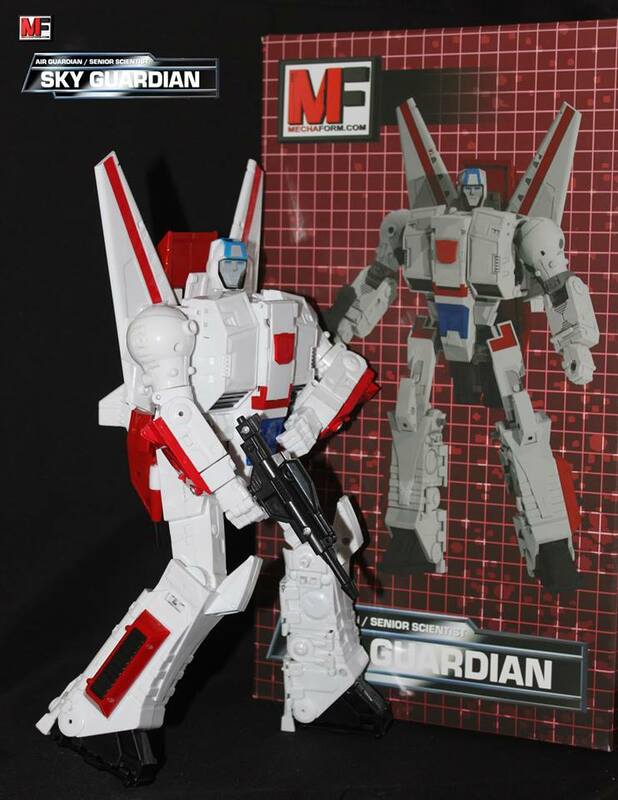 They also provided product images of the Generation 1 Skyfire homage. The announcement did not mention the approximate size of the figure, but through their Facebook communications Mecha Form mentioned they intend for this to go along with Generations and Combiner Wars collections. One could deduce from available images that this will approximately similar to a Leader Class size figure. Information regarding release date or price has not been made available just yet, but we will » Continue Reading. The post Mecha Form Sky Guardian Product Images and Preorder Announcement appeared first on Transformer World 2005 - TFW2005.COM.